WINNING AT THE GAME OF LIFE! This system explains why some people win the money, life, career, love and relationship game while others seem to struggle all the time. For thousands of years, human beings have pondered how we got here and what the meaning of life is. Religion attempts to explain the unexplainable and to provide a template for successful living. Science has provided us with technologies and answers that previous generations would have considered to be heresy and yet today we accept them as a normal part of life. The OPTIMA Zones of Human Behavior & Peak Performance were created by Andrew John Harrison and Anjou MacPherson to explain the cycle of life, why we behave the way we do and why some people are more successful, happy and fulfilled while others seem to be caught up in an endless cycle of struggle for mere existence. The system explains why some people struggle and are unhappy, while others seem to be in the right place at the right time are happy and fulfilled. Most therapies, medical practices, and self-improvements systems focus on identifying dysfunction, treating it and becoming functional. Health is seen as the absence of disease. The OPTIMA Zones were created to look at life holistically, from the big picture, ultimate, optimum and what is possible in an ideal condition and then work backward to identify varying stages of suboptimum all the way to nonexistence. Clearly identifying where one is at versus where one could be if conditions were optimum, help to identify the best possible path to realizing the full potential in the least amount of time with the least amount of effort. All of life can be measured on a scale from FULLY ALIVE at the top to NEARLY DEAD at the bottom (death is the bottom of the scale.) 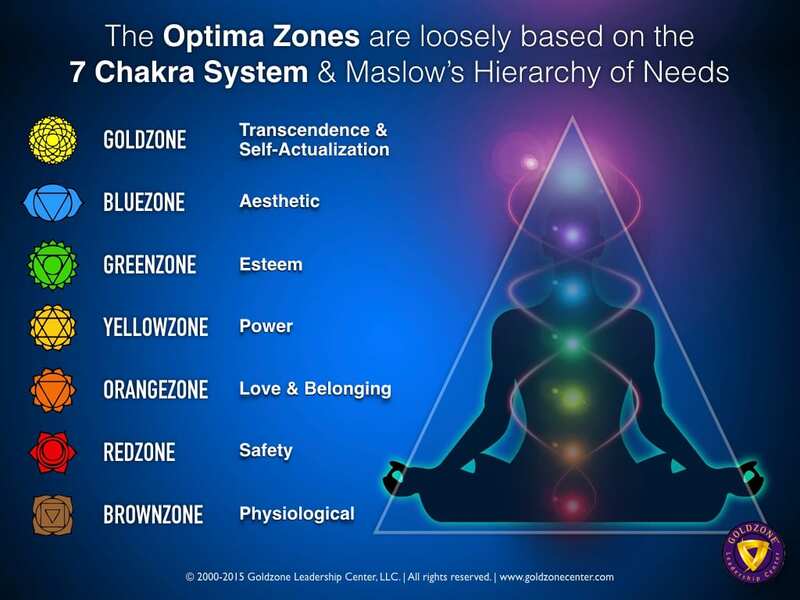 We call this scale that OPTIMA ZONES OF LIFE as it is divided into seven Zones, or categories. Each Zone is represented by a color. The colors are GOLD, BLUE, GREEN, YELLOW, ORANGE, RED, and BROWN. Each color has a specific meaning to correlate with universal emotion that is evoked and represented by various colors as well as specific behavior and results. Describing a Zone using a color makes it easy to identify and communicate the complex mechanism behind each Zone in a simple and effective way. 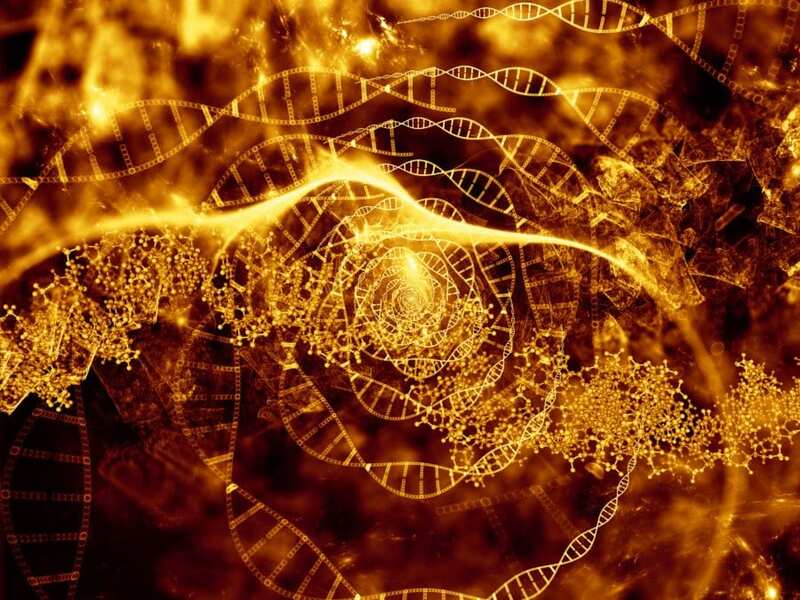 There are many theories of human life, emotion, and behavior that have been developed by scientists to explain and make sense of why we do what we do and what causes what to happen. Many of these theories offer conflicting explanations and are very complex for the average person to understand, let alone utilize for self-improvement. After extensive research scouring scientific journals, articles, books, hiring consultants, participating in symposiums, educational events and one-on-one work with thousands of people, in frustration, we decided to develop our own theory that would be simple to use and apply universally to all aspects of life, career, business, relationships, health etc. We synthesized and distilled the central essence of various scientific theories, concepts, and systems of thought and organized them into the OPTIMA Zones System. Thomas Khun’s The Structure of Scientific Revolutions, Paradigm Shifts. W. Edwards Deming’s System of Profound Knowledge. R. Buckminster Fuller’s Generalized Principles. The Seven Chakra System and colors. The Visible Light Spectrum that describes a rainbow of colors. Milton and Joan Erikson’s Stages of Psychological Development. General Theory of Emotion, Development, and Expression. Physiological, Neurological, and Cognitive Theories of Emotion. Theory of Psychological Responses to Color. Vastu system of design, architecture, and sacred space. Feng Shui system of harmonizing with the environment. Taoist philosophy of harmony and effortless flow. Please note: Sources include scientific as well as some traditional systems of thought that can be described as pseudoscience. We have been careful to be simultaneously skeptical and open minded to discern between rational principles that make sense and folk remedies and superstitions. Most of us fluctuate somewhere from the top of the Zones to the bottom of the Zones, throughout the day, from day to day and year-to-year. On average, we spend most of our time in one particular place or Zone of the scale. Different areas of our life can be in different Zones. For example, your relationship could be in the Greenzone, and your career could be in the Yellowzone. The scale explains a lot about human nature. You will see the entire cast of characters in your life and what you can expect from them. You will also learn a lot about yourself and why your life is working in one area and perhaps not so much in other areas. Accompanying each Zone is a predominant emotion. Each emotion is a complete unvarying package of attitudes and behaviors. It is our emotions that drive our actions and our actions create our results. The higher a person’s position on the Zones the better they survive. They are more capable of obtaining the necessities of living, are happier, more alive, more confident, and competent. They are winning at life. The lower a person drops on the Zones the closer they are to death. They are losing, are less happy, less alive, less confident, less competent, and are losing at life. A person in the GOLDZONE, BLUEZONE or GREENZONE doesn’t settle down on this scale; they maintain a high interest and enthusiasm for living. Although they may become upset and drop down in a REDZONE environment, they are resilient and recover quickly once they are free of the lower Zone influence. Conversely, a person in the YELLOWZONE, REDZONE or BROWNZONE can have a moment of winning or success, however, it doesn’t last long and quickly return to their original Zone. Master of The Game FULLY ALIVE A person in the GOLDZONE is FULLY ALIVE, connected to the source, in harmony with nature and their environment, fully responsible for themselves and others, loving and compassionate. With a high level of truth, this person perceives people and situations accurately and operates from a state of grace, also known as effortless flow. The Goldzone person is a creative master over their life and their environment and operates in their own reality. Completely authentic and peaceful, the Goldzone person is fully integrated with their spiritual self. Their usual mood level is serene/state of grace. Creation, manifestation and the extraordinary are a way of life. The Goldzone person’s word is as good as gold. As a leader, the Goldzone person is inspiring, visionary, and synergistic. EXPRESSED This person is living their dream and is fully self-expressed. Life enhancing art, poetry, music, dance, movies and being of service motivate the Bluezone person to express themselves in a way that gives back to the people around them and society as a whole. The Bluezone person is surrounded by beautiful people and environments. Reverent, graceful and in a constant state of gratitude, these people are highly valuable to any community or project that they are a part of. Bluezone people are on the leading edge of shifting paradigms, social values, and culture. As a leader, the Bluezone person is creative, passionate and innovative. WITH HEART The Greenzone person is in the right place at the right time. Everything seems to go right for them and most things that they are connected to work. They are attractive and emanating Lifeforce and creativity. They are inspirational and their presence alone is a reassuring and calming influence. Greenzone people are connected to the right people. Their actions, intentions, and visions are aligned. They spend most of their time in a high mood level and take action with heart. Knowledgeable about many subjects and things, this person has highly developed people, communication and life skills. Here we have a high level of confront, truth and honesty. The Greenzone person is happy, prosperous and successful within the status quo. As a leader, the Greenzone person influences, empowers and encourages others. Win/Lose ACTION In the Yellowzone (Action Zone) a person is driven by their ego and their attachment to how they think things should be in order to feel good about themselves. Motivated by anger they are flowing a lot of energy against opposition, against people, against perceived threats and are on the attack. When frustrated, these people respond with anger, even when most of the time anger is not the appropriate response. Attached to being right, the Yellowzone person makes less of other people, invalidates them and is always blaming others for things going wrong. Any mistakes made by this person are instantly justified. Yellowzone people are in high action, however, it is motivated by anger. A lot of drama and busy-ness surrounds this person. Obsessed with success, the Yellowzone person is constantly thinking about what to acquire next. As a leader, the Yellowzone person is controlling and domineering. Lose/Win SECURITY This is life in the rat-race, daily grind or work-a-day world. This person doesn’t take any risks and lives and works for survival. The Orangezone person can handle things but has poor people and communication skills. This person resists change and not prone to share what they have. This person resists change and not happy to share what they have. Fear motivates everything this person does, from choosing a partner, career, place to live, investments etc. Any form of responsibility or leadership is avoided. The Orangezone person communicates with a lot of generalizations, assumptions and when at the bottom of this Zone is emotionally numb. As a leader, the Orangezone person can’t make decisions, avoids risks and commitment. As a leader, the Orangezone person can’t make decisions, avoids risks and commitment. Lose/Lose SURVIVAL A person in this Zone has almost succumbed to loss, death, and failure. Nothing works for them, and one failure leads to another. The Redzone person is in the wrong place at the wrong time, doing the wrong actions. This person has destructive people and communication skills and doesn’t trust anyone. Here we have a very low level of confront and honesty. Obsessed with security, this person is driven by fixed ideas and wrong information. Often using knowledge as a weapon, this person has no happiness, no money, no energy, no space, no time. This person is the perpetual complainer, gossip, and VICTIM. As a leader, the Redzone person abdicates decisions to others, is careless and takes huge risks/gambles. Not In The Game GIVEN UP A Brownzone person has given up on life. Nothing works for them. They are totally in the wrong place at the wrong time. Most of their life is negative and heading straight towards death. In deep denial, Brownzone people are paralyzed, inactive, sick and depressed a lot. Totally physically and emotionally numb they have a lack of feeling and are indifferent. They are turned-off to loving, living, hoping, crying, laughing and dreaming. When a person suffers either a severe loss or a series of cumulative losses and cannot express their grief, they restrain, suppress, or deny their feelings and go into the Brownzone, (Denial Zone) which is lower than a victim. Often the drug addict and compulsive gambler are in this Zone. Some of these people may even be labeled “brilliant intellectual” and be in high-paying jobs. A good indicator of the Brownzone person is found by looking at their associates. Most of them are frazzled by trying and failing to help them. As a leader, the Brownzone person is apathetic, can’t make a decision and is indifferent.